Installation and User Notes: Posted January 16, 2019 Latest version is v 8.0.24 build 8024. Compatible with Outlook 2003, 2010, 2013, 2016. Compatible with Outlook 2003, 2010, 2013, 2016. If you have multiple computers, each with their own Outlook, you will have to choose one to begin the sync. Syncing from different Outlook data sources may lead to duplicates in each database. account, the Contact records will have to be de-selected as private. A “private” Contact attribute will appear next to the private Contact’s name in the Contact edit window. 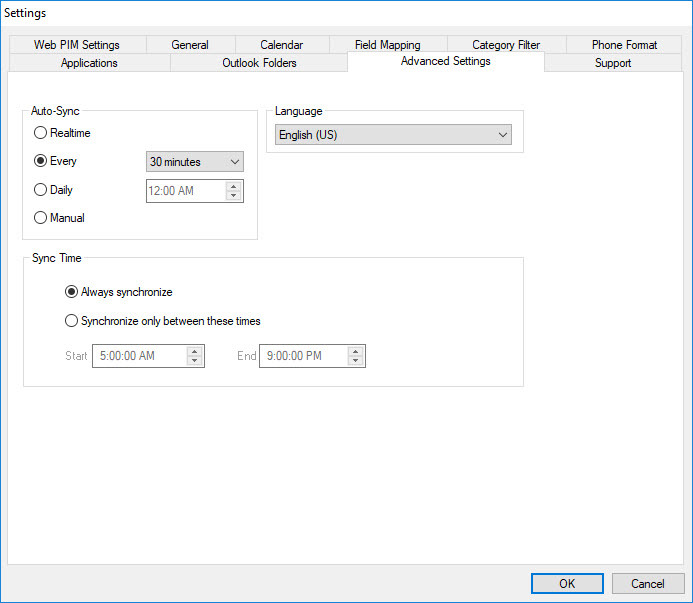 If you are a PlanPlus™ for Outlook user, SYNC needs to differentiate between Daily and Master tasks. 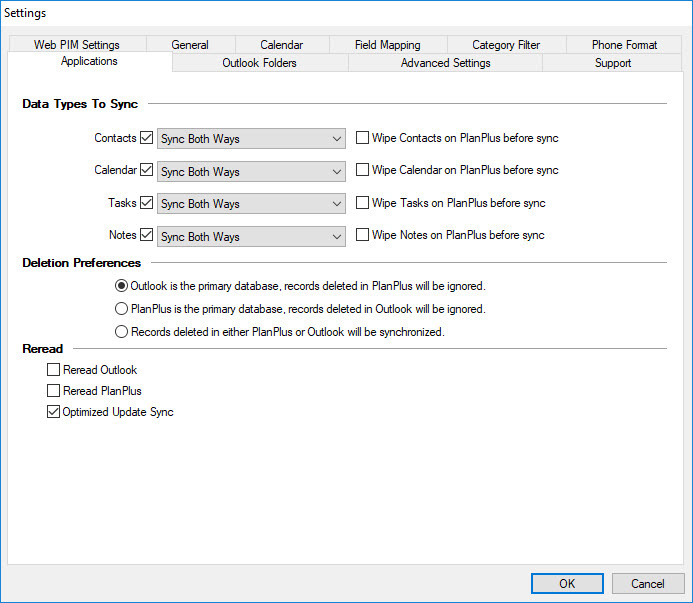 For SYNC to do this, you must visit the “Startup Page” inside PlanPlus™ Online Setup Wizard, Personal Preferences Calendar/Tasks at the bottom of the page “Sync With” Select PlanPlus™ for Outlook. 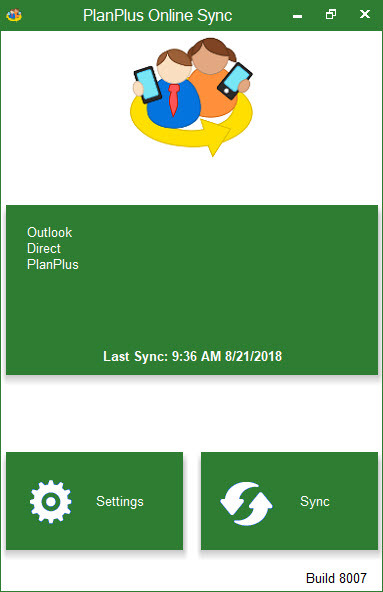 The PlanPlus Online Sync Utility will not sync PlanPlus for Outlook Mission Statement, Goals, Compass and Daily Notes. ATTENTION: If you have previously imported Contact information and then perform SYNC, you will get duplicate Contact records. If duplicate Contact records appear, click here to review a procedure for removing duplicate Contact records. Notice in some cases where users of the sync utility have used earlier versions and may have installed the utility in a directory different than the default it is possible to introduce duplicates into the database. It is advisable to make sure that any previous installations are removed. Running the downloaded file will add this shortcut to your desktop. Click on this to both setup and run the synchronization. 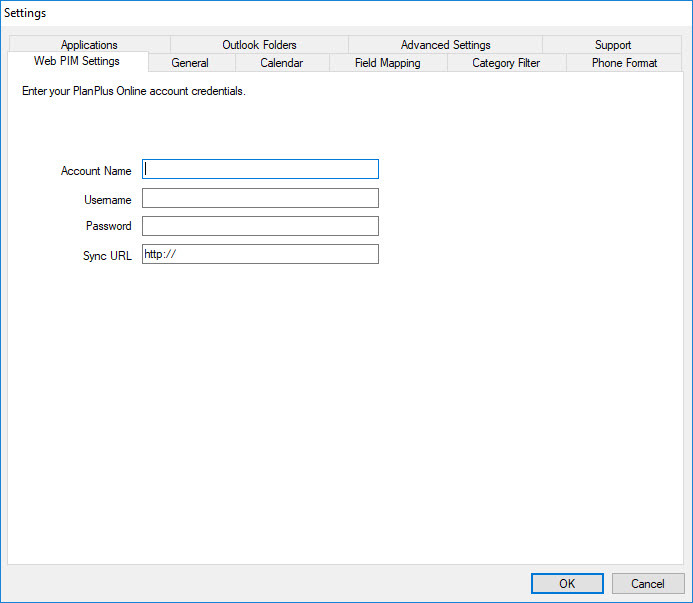 Once you have successfully installed and opened the PlanPlus Outlook Desktop Sync Tool you will see this window. In the future when you open this page you can simply select “Sync” to synchronize PlanPlus Online and Outlook. If it’s your first time however, select “Settings” so you can setup the connection. AS A PRECAUTION YOU SHOULD BACKUP YOUR OUTLOOK DATA PRIOR TO THE 1ST SYNC. Provide your login information for PlanPlus Online. Your Sync URL will be similar to the URL that is displayed while you are logged in to your account. Once you’ve successfully configured your Login Information Select the “Applications” tab. From here you can customize exactly which types of data you would like to sync and which directions. Select the “Advanced Settings” Tab. From here you can select the exact frequency and limits of when the Sync tool will run. You can choose between real time, every 5 – minutes to every 12 hours, Daily at a given time, and only when a manual sync is ran. Finish, Synchronize your data, AS A PRECAUTION YOU SHOULD BACKUP YOUR OUTLOOK DATA PRIOR TO THE 1ST SYNC.